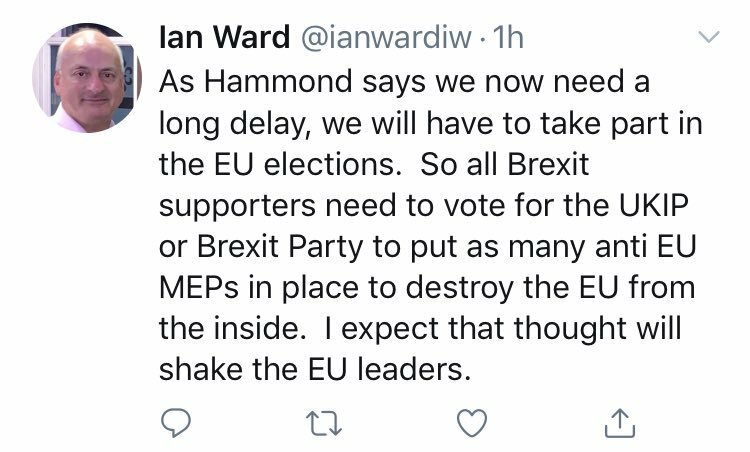 Well known Isle of Wight Conservative, and IWC cabinet member Cllr Ian Ward, Tweeted last week that people should vote for a party other than his own. Cllr Ward has subsequently deleted the tweet. Can you help Islanders understand why a person, like you, that has been so committed to the Conservative party for so long, is actively encouraging people to vote for other parties? What led you to remove the Tweet? Were you asked to remove it? Who asked you to remove it? Will you be campaigning for UKIP and the Brexit Party if there are MEP elections in the UK this year? I have been a Conservative supporter and subsequently a Party Member for many many years. On the issue of Brexit, which I strongly support, I along with many people, of all parties in our country believe that the Prime Minister has let us down badly by agreeing to a Deal that effectively traps us in the EU. This Deal is against the result of the Referendum, which was to Leave. If the continuing events and delays lead us towards having to take part in the EU elections the EU would be very concerned that they may get a larger number of anti EU MEPs than they expect. The EU is already concerned that some constituent Member states are also considering leaving and thus destroying the EU so would not welcome more anti EU MEPs. To prevent this the EU could decide against allowing the UK another extension so we could then leave under WTO rules. I hope that explains my logic in suggesting voting for anti EU MEPs. It is not anti Conservative, rather anti EU. I removed the tweet because I have seen how words and intentions can be twisted to attack the writer. Sadly, that was starting to happen. Some people think it’s quite in order to make personal attacks on people who have a different opinion to theirs. No, nobody asked me to remove it. No, I will not be campaigning for UKIP or the Brexit party if there are EU elections. I am a Conservative because I believe in the party’s principles and policies. Many Conservative and Labour supporters, even MPs and Ministers reject this bad Brexit plan and are saying so publicly. All mediums of the media are reporting the anger felt. 10 Comments on "Staunch Conservative councillor encourages people to vote for UKIP or Brexit Party"
Precisely my take on what has happened. Instead of blaming those who did not vote for her useless deal she should wake up and smell the coffee. What about her slogan ‘No deal is better than a bad deal’? She is not fit for purpose as Tory leader and should resign immediately. Has Ian Ward actually read the agreement reached by Theresa May and her team? This is like counter psychology to me. I feel that if I vote for anything to do with Europe I’m legitimising something that we should no longer be part of. Then that would lead to a second referendum or just repealing article 50 and ignoring the vote altogether. In the meanwhile of course propping up the ailing Euro to keep th EU staggering along. Who is the UKIP candidate to replace our current MEP Keith Wotsisname? IW does not have its own MEP. 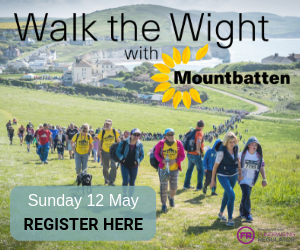 We are lumped in with the rest of the South East, from Kent to Oxfordshire and down to us. The South East elects 10 MEPS, most of whom are unknown. All part of making the EU irrelevant to ordinary people. Understood, but he is the only one that I am aware has actually visited the island to support an issue brought to his attention. Do they? Where is your data to support that claim?